SummerKids Camp focuses on kids having fun while encouraging them to live a healthy lifestyle! SummerKids is a fun summer camp at Cornerstone Doylestown designed to keep your child active and having fun while you work out, run errands, or just have some time to yourself. 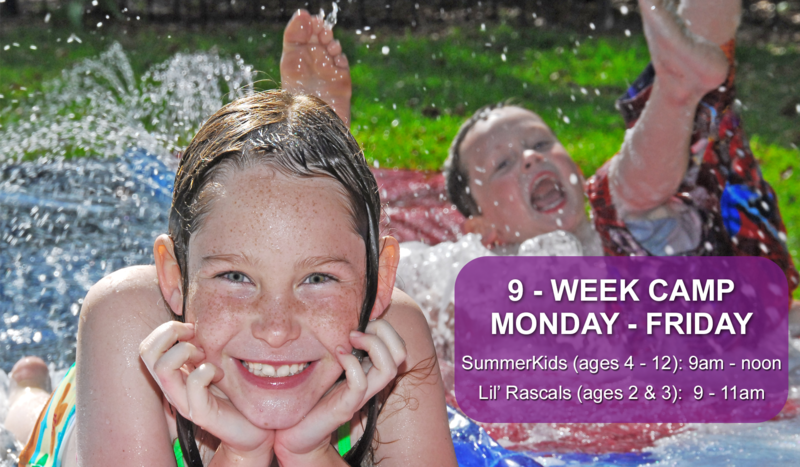 Children are welcome to join us on a day-to-day basis, week-to-week, or for a whole fun-filled summer. Camp is open to children of Cornerstone members as well as non-members - anyone can join the fun! Please note that registration for our 2019 camp opens on March 1, 2019. Space is limited and camp fills very quickly. For more information or to reach for help with registration, please contact us. For a speedier registration process, please print our Camp Profile and bring the completed and signed form when you register your child. If you register online, please bring the completed form on your next visit to any club. Your child WILL NOT be able to attend camp until we receive this completed form. Activities vary day to day and offer something that will appeal to every child. Kids are grouped according to age to ensure all activities are developmentally appropriate. Activities include but are not limited to: Sports & Games, Arts & Crafts, Running Club, Wacky Water Wednesdays, GaGa, Theme Weeks and more!! !Activities vary day to day and offer something that will appeal to every child. Kids are grouped according to age to ensure all activities are developmentally appropriate. Activities include but are not limited to: Sports & Games, Arts & Crafts, Running Club, Wacky Water Wednesdays, GaGa, Theme Weeks and more!!! We know that little ones don’t want to be left out of the fun! So, Cornerstone now offers a day camp specifically designed for preschoolers ages 2 & 3. Developmentally appropriate activities include things like sports and games, arts and crafts, music, science and nature, theme weeks and more. *Campers must be potty trained. Ask us about our Counselor-In-Training (CIT) program! Designed for ages 13 – 15, this awesome program provides on-the-job training for young teens who enjoy working with children. Minimum commitment of 3 weeks. Application/letter/interview required for acceptance.